They’re just two of thousands of California wildfires recorded this year. Meanwhile, to the north, the Camp Fire has killed five people and leveled the entire town of Paradise. Both of the LA-area fires started Thursday afternoon, and though no deaths have been reported, many people have had to leave behind their beloved pets and homes and flee. Here’s a glimpse at the devastation in southern California so far. 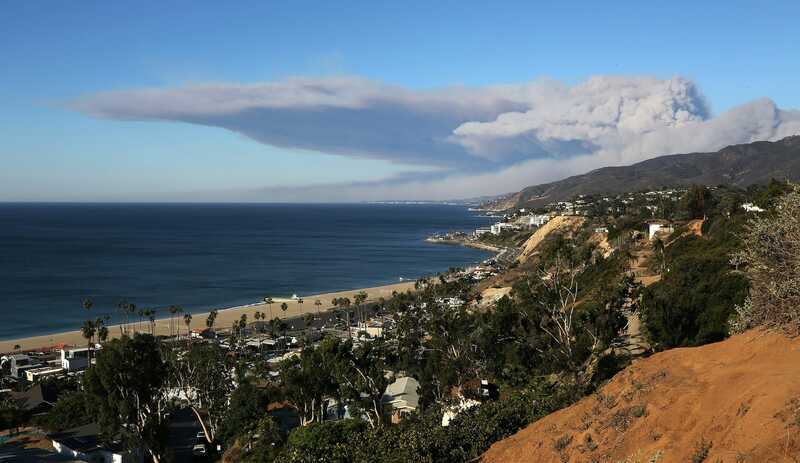 Stars including Alyssa Milano, Melissa Etheridge, director Guillermo del Toro, and the Kardashian sisters all had to leave their homes in the area. Milano said she packed up her „kids, dogs, computer,“ and Doc Marten boots and headed for shelter.